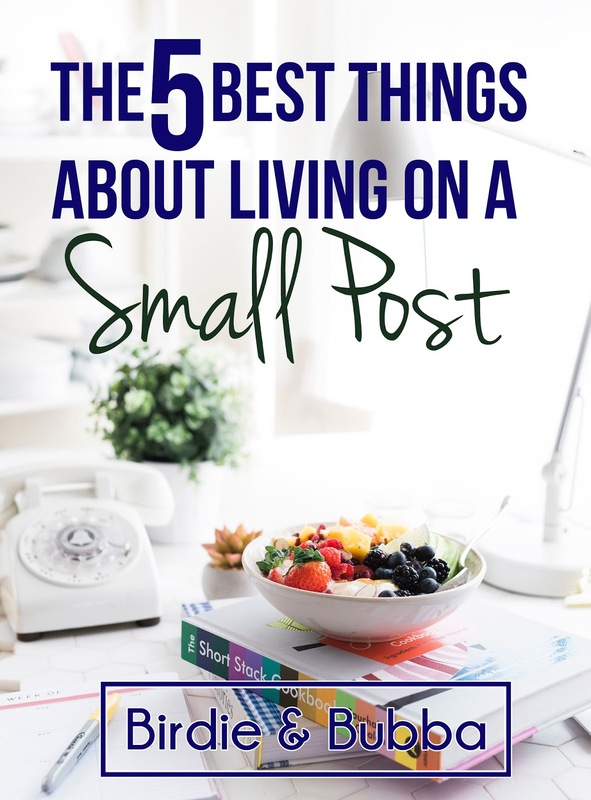 Many of us do not like the prospect of living on a smaller post. I was one of those people who was worried that there would not be enough to do or see. It can be even harder if the area around you does not have a bustling town right off post or nearby. When we went from being stationed on a base of 40,000 people to a base of only about 7,000 people. To make things even more interesting we went from a small city that had 200,000 people to a town that has about 40,000. These aren't' tiny towns by any means, but it definitely is an adjustment regardless. HOWEVER, I have found that there are some pretty awesome things about living on a smaller post. I grew up in a suburb in New Jersey where it was hard to have a small town feel next to NYC. One of the benefits of living on a smaller post is a small town feel. I love taking my dog for walks on post and being able to meet people or just enjoy to peace and quiet. I feel like I am in a quaint neighborhood in a small town instead of just a few miles away from a shooting range. The great things about small posts are less overt sometimes than bigger posts. Our current post boasts amazing trails up into the mountains as well as sunset horseback rides! The massive post we came from before had no such thing. We don't have all the amenities we were used to while living near our other post. We have had to get creative with what we wanted to do with our time and how we were going to do it. This had led us to actually plan our weekends and make set plans with friends. In a way, it has made me much more organized and better at learning about the area around me for what to do, who to see, and where to go. 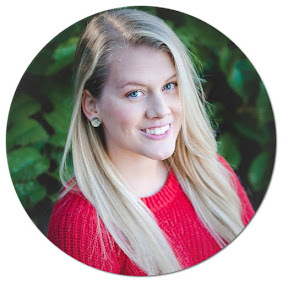 I won't say that I didn't meet fantastic people at a bigger post, because I absolutely did! When there is less going on around me, I feel like I am more inclined to reach out and meet other people or simply make the effort. This is a definite character flaw of mine but I'll admit that I am easily distracted and sometimes forget to make time. Since there is simply not as much to do on your own where we are now, it has been great to hang out with others who are in the same boat. Our new post is so small that many people don't know where it is or that it existed. I like that I have been able to see what big and small posts have to offer. Plus, it can be fun to share your experience with others who might only have been at the huge posts. I compare it to when the hipsters find a coffee shop in Brooklyn, then everyone gets interested and wants to know more. Do I wish the mall here had more than one floor? Sure. Do I still get kinda confused by the fact that the commissary is closed on Mondays? Yup. However, I can definitely say that I am happy for this experience that not all people get to have. They say we will be leaving in the late fall.....I'll believe it when I see it. Until then, I will keep enjoying this spot where the Army has sent us. Love it! Our first post only had 3,000 soldiers. We were in Germany but we had such a sense of community. During the deployment, 90% of the spouses were going through it so we could all bond together. It is so different at Ft. Campbell which is a lot bigger.